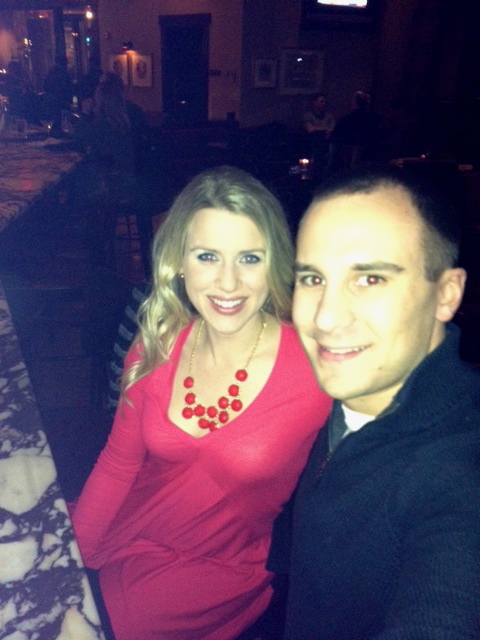 Justin & I had a fantastic few days celebrating the end of 2012 (which you all know was a very big year for us) and the beginning of 2013. Last Saturday, we had a "date night" planned in Indianapolis - a city that holds a special place in both of our hearts. 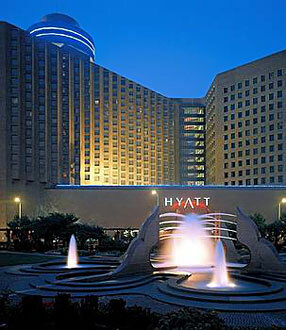 We stayed at the Hyatt in downtown Indy, a hotel I have always loved. We got great service at the Hyatt - I forgot my entire toiletries bag (thankfully NOT my makeup, that is my worst nightmare), and the front desk loaded me up on all of the essentials including hairspray so that I didn't have to go out and waste $$ at CVS. Big fan! Justin & I had quite the debate about where to go for dinner for our big date. 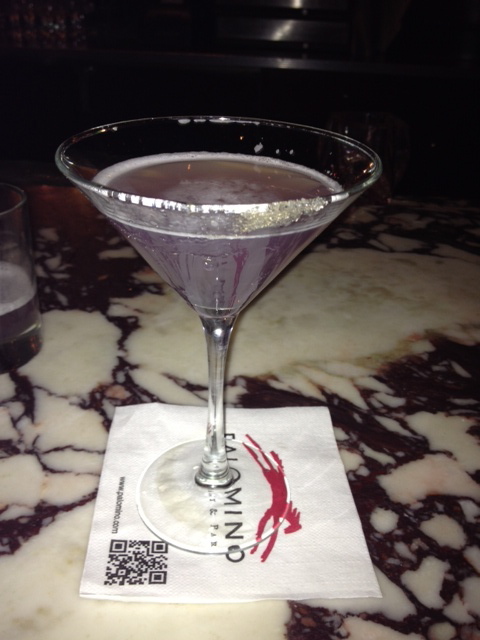 Last time we were in Indy, we went to Palomino and had a great dinner with these Lavender Cosmos (me, not Justin!) that I have not been able to get off my mind since (and that was YEARS ago). I had to go back to Palomino for at least one of those cocktails. It was ALMOST as good as I remember - the bartender went a little heavy on the sour mix, which is not my thing, but still delish. We didn't eat at Palomino, because we had both always heard great things about St. Elmo's Steak House, and ultimately decided this was the trip to give it a go. I think we are both VERY pleased with that decision - our dinner and service were amazing. I didn't take any pictures of our food, but we split their famous shrimp cocktail, which was really good - I was shocked by the level of spice in the cocktail sauce (horseradish, hello!!). After that, Justin had the filet (perfectly cooked) with some mashed potatoes that will change your life, and I had the King Crab and Shrimp Linguine. We also split a bottle of Hess Cabernet, which was reasonably priced and we both enjoyed. After dinner, we "whooped" it up a little around the town - at the bar at the Canterbury Hotel and a Cigar Bar (no cigar for me, they make me sick!). It was a fantastic night spent just the two of us - we don't do a lot of big nights like that, so it felt really special and was a treat. Sunday morning, we slowly rolled out of bed and fought some insane traffic from the Colts game to head down to Bloomington, Indiana (where we met & went to school) to meet up with our very good friends, Ashley & Tyler, for New Years. We have spent almost every New Years with Ashley & Tyler since we graduated IU - it has become a tradition that we always look forward to. ...I am exhausted just thinking about it and I want to go back at the very same time! Ashley & I got to relive our college days of waking up almost every day on the weekends for a workout followed by Village Deli breakfast. Hotel gym wasn't quite as nice as Cardinal Fitness, but it did the trick! We watched the ball drop at midnight at Sports - then headed straight back to our hotel. Are you working on any resolutions?? Have a fantastic freakkieee Friday! Sounds like you had an awesome New Years! 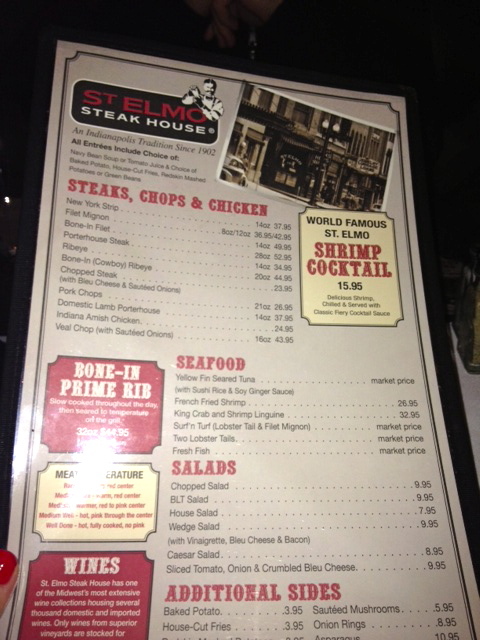 St. Elmo is really great!